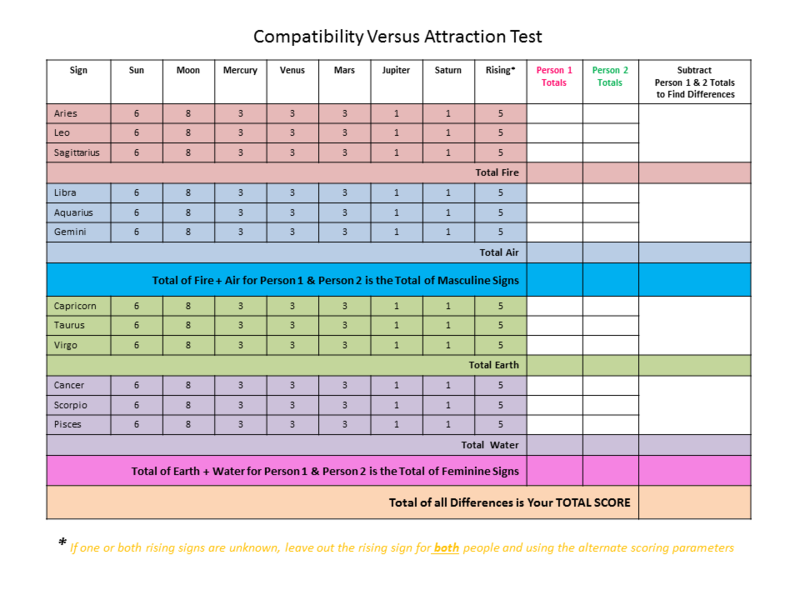 Is Your Relationship Based on Compatibility or Attraction? Rather than simply having a number score pop-up without any insight or explanation, this test allows you to actually see, line by line, how each individual person scores on their levels of elements and how this breaks down into their levels of masculine and feminine signs. You can look at each person's scores individually to gain insight into their personal astrological make up, then compare each person to the other. This gives a graphic display of the primary forces at play in a relationship. It's a great way to look at a relationship in terms of the similarities and differences between two people. It shows what elements each person either has in abundance or lacks and how their levels compare to the other person. This is an excellent score for a long-lasting relationship. You are very much alike, making you very compatible. You are comfortable together. Your attitudes and approaches to life are similar. Your energy levels and outlooks are in sync and you see eye-to-eye on most things. Often it seems that you know what the other person is thinking or how they will react to a situation because your thought processes and emotions are so similar. This is a relationship based on mutual understanding, common interests and similar outlooks. However, you do not satisfy unconscious needs in each other or balance each other astrologically by giving each other the elements you lack. You are likely to unconsciously seek a way to balance the elements you lack with friends outside the relationship who have the elements you lack or activities that are related to the element you lack. With a score in this range, you are still more alike than different. These relationships are easy and are based on compatibility with a fundamental, strong friendship. However, you are different enough to satisfy some unconscious needs in each other and stir some attraction. You give each other some of the elements you lack, but you are still similar enough in your element make up, to have a high level of compatibility. These relationships are generally long-lasting and there are few disputes because you understand each other easily, but there is still some spice in the relationship to spark attraction because you aren't completely alike. 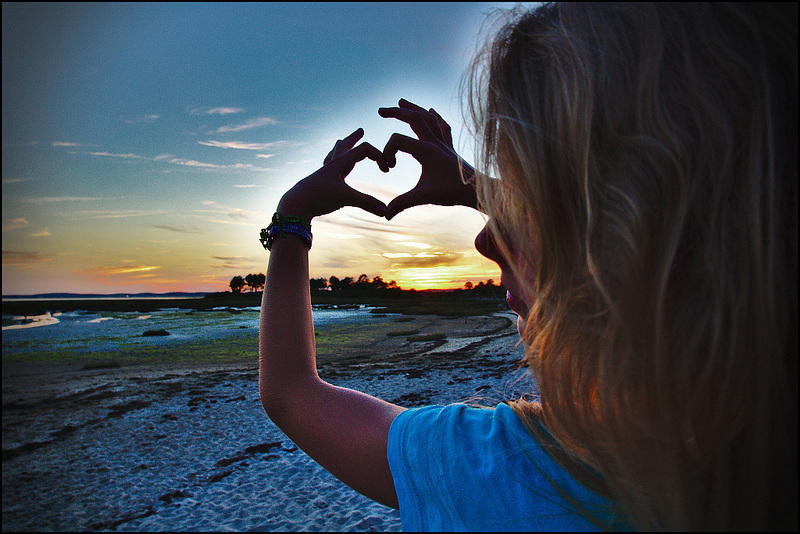 Your elements balance each other enough to keep the relationship unconsciously interesting. In this range you are more different than alike. These relationships are based on attraction. You have an unconscious attraction to each other because you each have high levels of the elements that the other lacks. In this way, you balance each other and this is very attractive. However, these differences in your elements mean you often don't see the world the same way. You have outlooks, emotions, and reactions that differ. A relationship based more on love than friendship is likely, and there are likely to be some bumps throughout the relationship because of your differences. The unconscious pull of attraction is strong though, and because your differences are not that great, the pull is likely to keep you together and make the differences worth the trouble. Relationships with scores in this range are not common. You are very different, and are likely to have completely different social circles. You are so different that you may never even approach each other and meet in the first place. Your energies, emotions, reactions and outlooks differ vastly. However, you completely balance each other, so the chances of attraction are very high. 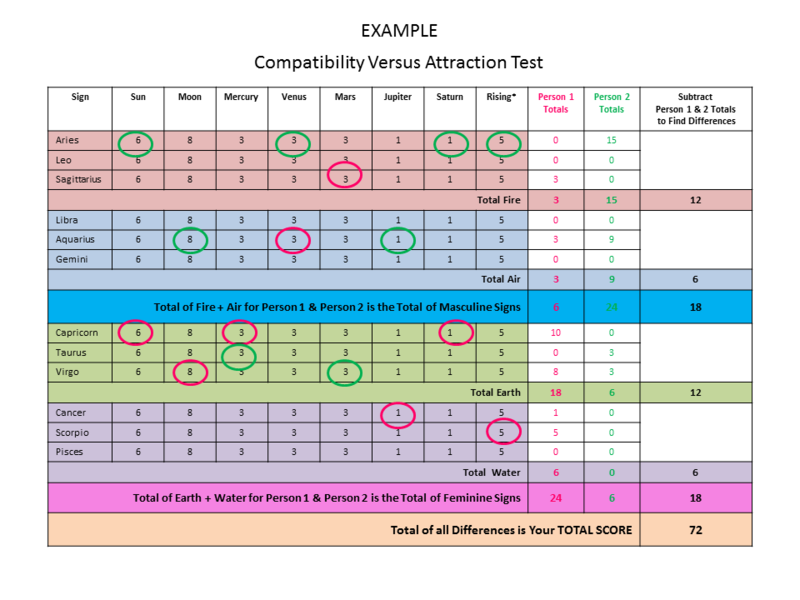 This attraction is often in-explainable and feels seductive and compelling, but your compatibility is so low that you have difficultly understanding each other. Sexual relationships with no element of friendship can occur in this range. You can seem anywhere from mysteriously attractive to awkward to each other. In a setting where there is no chance of a sexual relationship, such as a work relationship, you can benefit each other greatly. Because you each have the elements the other lacks, you are stronger together. Together you are virtually complete in your astrological element make up, so as a combined force, you can be effective and strong. Relationships can be based on the compatibility between two people stemming from their similarities or from the attraction generated by their differences. Compatibility is always founded in similarities. Fundamentally, these similarities are based on the astrological elements in each person's chart. If two people have a similar balance of elements in their chart (fire, water, earth or air), they are compatible. Similar or identical element balances between the charts of two people produce similar attitudes, energy levels, outlooks, likes and dislikes between them. Conversely, when two people have very different element balances in their charts, they have a low level of compatibility. However, this does not mean a relationship between them won't work. It may take more effort to get along, but the attraction and passion can run high. We are attracted to people who have the elements we lack because we constantly seek balance. We all unconsciously seek to balance ourselves by finding what we lack in something or someone in the world. A person who has a high level of the elements you lack balances you and makes you feel more complete by satisfying your unconscious need to balance yourself. You feed off of their strengths or energies because you lack those strengths or energies. In turn, they feed off of yours because they lack what you have.